Scientists have discovered that common seals (Phoca vitulina), also known as harbour seals, can detect the size of prey animals using just their whiskers. According to Dr Wolf Hanke and scientists from the Marine Science Centre at the University of Rostock in Germany seals are able to discern an object’s size and shape by sensing the disturbance trail it leaves in the water behind it. The research, published in the Journal of Experimental Biology, involved work with a captive seal in Cologne zoo, where the team set up an experiment involving a series of rotating paddles to simulate the disturbance caused by swimming fish. Either side of a harbour seal’s snout sports between 40 to 50 whiskers, each one with around 1,500 nerves at their base – that’s around ten times denser than the concentration found in whiskered land mammals like rats or cats. According to the research these whiskers give seals constant feedback on any displacement in the surrounding water, providing an instant snapshot of what’s going on around them independently of their sight or hearing. "Seals can tell the size and shapes of objects that have been moved through the water by reading the water movements that the objects leave behind, the so-called hydrodynamic trail, using their whiskers," said Dr Hanke. 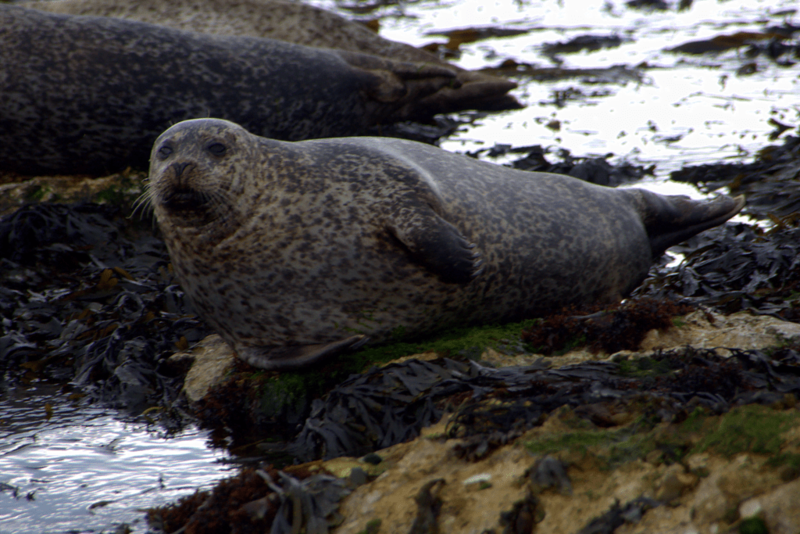 "Hydrodynamic wakes are of major importance to harbour seals because vision is often very limited under water, and hearing is often rendered useless because the seals do possess acute hearing, but swimming fish are often quite silent."